Common Gull kamtschatschensis adult, February 21 2010, Choshi, Japan. Picture: Goodhilda. 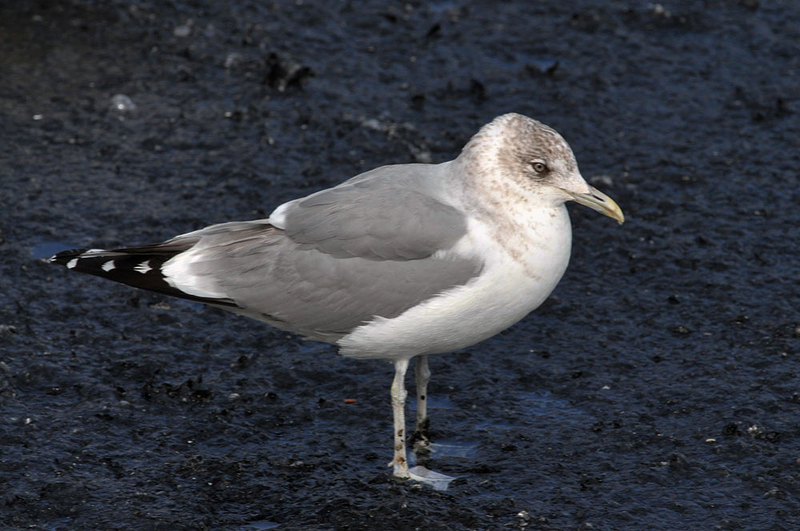 Largest of the Common Gull subspecies, sloped forehead and longer bill may suggest Herring Gull at first glance, but Common Gull never develop a red gonys spot.